One in every six homes sold this year has been a short sale in Tallahassee. One in every three homes sold this year has been in some sort of distressed situation (short sale, foreclosure, pre-foreclosure, REO, etc.). As we roll into 2012, the landscape for people who want to sell a home is crowded with people and institutions that must sell homes. This is the type of environment that leads to falling home values. We have had hundreds of people recently download our FREE 86-page e-Book "Should I Short Sale My Home," as more people come to realize it is a viable option for getting on with their lives, even if they have perfect credit and are current on their mortgage payments. A short sale allows people to break the trap that has stalled our housing market, by getting upside-down home sellers out of their homes with minimal damage to their credit or finances. When many people hear or read about short sales, they think "opportunity for buyers." But when I see what banks are currently willing to do for people with good credit, I see "opportunity for sellers!" And just like the Gold Rush of 1849, only a relative few are going to be lucky enough to strike gold. And do you want to know why? 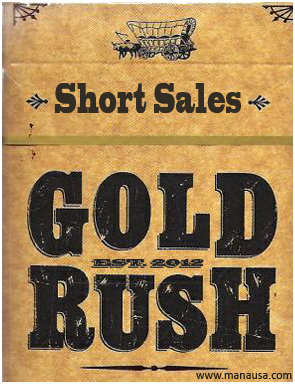 Banks are writing off huge losses right now with short sales. They are helping people get rid of homes and are putting together deals they would never had agreed to before the collapse of the housing market. But just as the veins of gold in California finally were exhausted, so too will be the disorganization and resulting generosity of the banks. They will establish systems and plans to ensure that they no longer have to lose money on a short sale. Homeowners who sit back and wait will be just like the 'easterners' who didn't board the first train to California in '48. Home values are dropping and banks won't do this forever. Homeowners who wait two years will have to sell their homes for less money and get less favorable terms from the banks. If you know you're going to have to sell in the next few years, do yourself a big favor and contact me today! 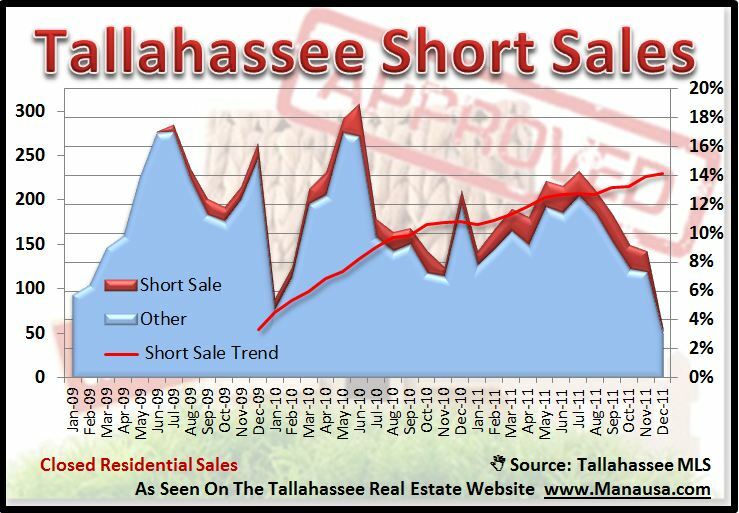 When we look at the homes that are selling in Tallahassee, we can see that short sales have sprung into a major market force. 17% of the homes that sold in November were short sales, representing 1/2 of the distressed property sales. While this could mean that more homeowners are choosing the short sale route, rather than deeding the property back to the bank or having the property be foreclosed upon, I believe it really is a sign of non-distressed sellers choosing to take advantage of the favorable solutions that lenders are offering with short sales. The real estate graph above is clear, we should brace for the Short Sale Rush of 2012, and the early entrants are going to be walking away with the gold. Take action today, download the e-Book on short selling, and then drop me a note.